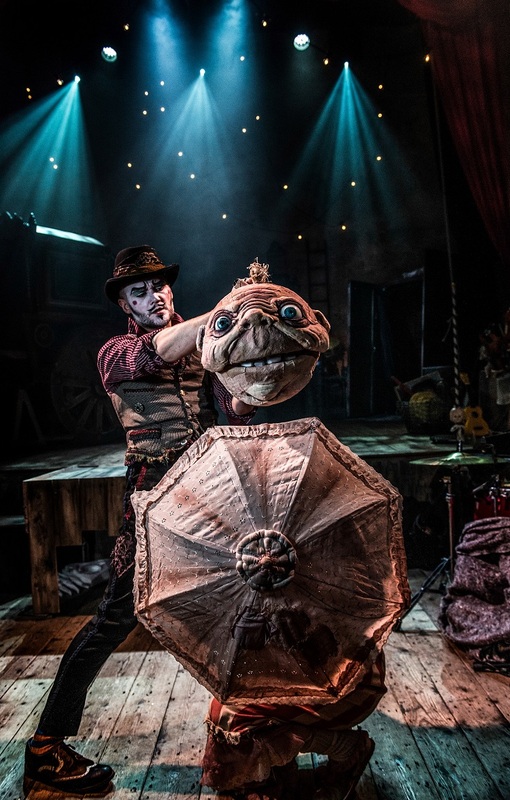 Wilton’s Music Hall and the theatre company Les Enfants Terribles – much like the pen and page, bacon and eggs and jelly and ice cream – make for a truly unmissable pairing. If you haven’t been to the historic east London music hall yet, then book to go right now; they’ve just announced their 2018 season so it’s perfect timing. Like the Les Enfants Terribles show, the hall itself has the feel of the grand theatre of yesteryear about it: its original fixtures and fittings boast the makeshift glamour of theatre pre-technology. Both show and show venue favour sheer theatrical spectacle, leaving theatrical agenda-pushing at the door. Les Enfants Terribles – who first performed their eponymous show The Terrible Infants in 2007, when the company formed – made an ambitious choice with this 400-seater venue, because their shows are associated with more intimate spaces, but it is an enticingly experimental setting for this macabre, vaudevillian variety performance which introduces seven ‘terrible infants’ in unusual settings, thanks to deft physical theatre with live musical accompaniments. Seven short vignettes intersperse with one another throughout the two-act play, telling the calamitous stories of a set of terrible infants by using puppetry, choreography and in one case, voice over from Judi Dench, which frames the most fast-paced and lively of the vignettes. The scenes vary from frenetic to whimsical – along the way we meet Thingummyboy, a silent type who literally goes unnoticed by those around him, Finbar who wants to be a fish and a girl called Tilly who can’t stop lying. 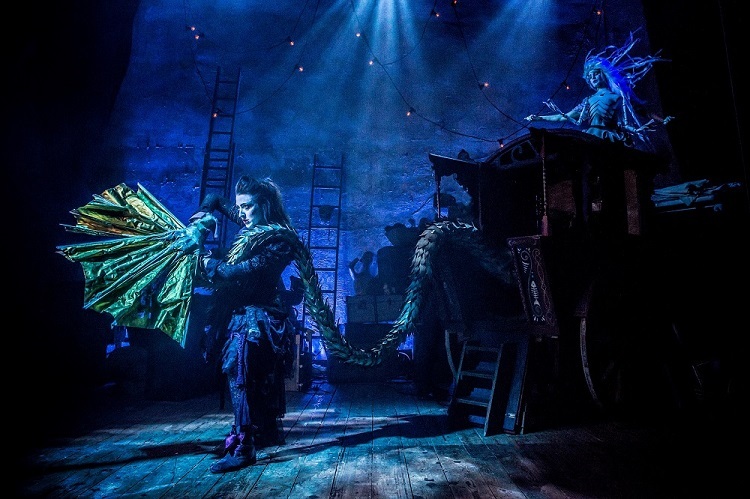 Everything is cloaked in live music and hearty staging combining giant but intricate handmade props; the aesthetic is somewhere between Hans Christian Anderson and Tim Burton but with a sense of Roald Dahl’s gentle storytelling, which hums in the mind during the interval and in the bar afterwards. In a spectacle that relies heavily on physicality, the might of the five-strong team is sometimes challenged by the size of Wilton’s, which can seem to engulf the few performers and at times sound is compromised. However, the set of five, which includes director Oliver Lansley who stole the show – generally bolt between narratives with ease. The ambitiousness of this piece of physical theatre ultimately leaves some vignettes feeling stronger than others. Split into ferociously funny and visually miraculous acts (little boy Finbar who turned into a fish, and a swarm of bees projected to the audience on sticks which chase a little one were best, perfectly silly and enchanting) but other segments lost pace in the second half: despite haunting lighting and deft puppetry, Thingummyboy’s story felt more generic, and unable to generate the feels of faster-paced vignettes. The Terrible Infants is a visual spectacular that has proven legs. Ten years on since its first staging, its new atmospheric setting makes for a bold accompaniment to this set of stories, which some stronger than the other, defiantly break the mould – however there’s the itch that an edit could tidy things up a bit. 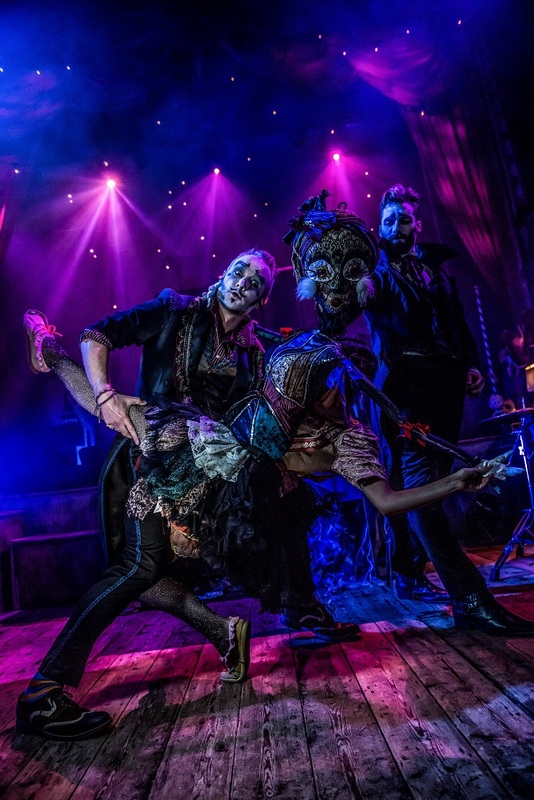 The Terrible Infants, Wilton’s Music Hall, runs until late-October. Read the latest line-up announcements from the venue for after that.